ID Supplement Day this time around was a great success with a panel of esteemed industry experts, Dr Eric Leong, Raja Nur Syaheeza and Azlan Kasroh sharing their thoughts on ‘How Art Can Shape and Inspire Contemporary Interior Design’. Among the views discussed was the prevalence of different types of art across architecture and interior design over the ages. Besides that, the common ground between art and interior design, such as appealing to the five senses, was highlighted and emphasised. 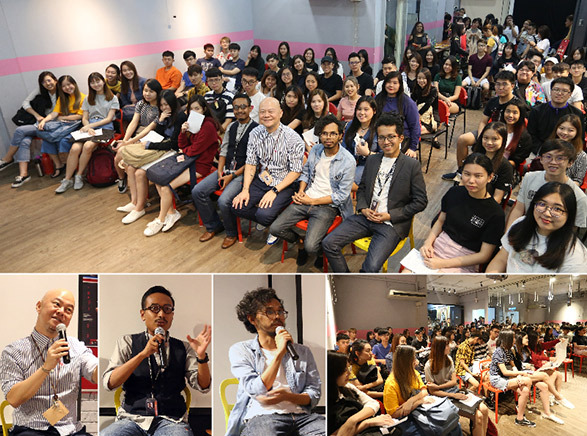 In addition, students were given advice from the speakers on how to hone their skills to become successful in the field of interior design in the future. Students benefitted greatly from this event as they had not one but three industry experts to learn from and get inspired by.